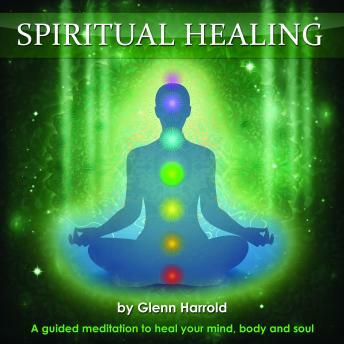 This powerful meditation recording by best-selling self-help author Glenn Harrold has been designed to help you heal your spiritual energy body of imprints and blocks. Each and every one of us has an invisible energy field that surrounds us and which is alive with information. Trained visionaries, psychics and Shaman can see this subtle energy field which holds lots of information about you, both from this lifetime and your past lifetimes. Within this energetic field there can be blockages and imprints that hold you back and prevent you from reaching your potential. Repetitive behavioural patterns that you find it hard to shake are often caused by blocks in your energy fields. By listening to this recording you will be able to heal your energetic body of imprints from the past, and clear patterns that have been with you for lifetimes. When you heal yourself spiritually it will naturally follow that you will heal yourself physically and emotionally. Glenn recommends that you continue to use this recording as often as you can as the healing process can have many layers and life will continue to throw up challenges and issue for you to deal with. However, as you progress and more things clear in your energy fields, you will feel much lighter, and you will begin to regain your true nature and the essence of who you are. Post hypnotic affirmations include: • I continue to heal myself of all wounds from my past • I take complete responsibility for everything in my life • My energy body continues to heal itself • I release all blocks and negative emotions from my past • I love and respect myself unconditionally • I feel loved and I accept myself completely.